One of the wonderful things that sometimes happens when you are writing history is that something will come along that suddenly makes the rather recondite subject matter of your books relevant to the present day. This happened when I was in the process of writing Magic as a Political Crime in Medieval and Early Modern England, which was published last year by I. B. Tauris. The idea for the book went back to 2013, when my first book English Catholics and the Supernatural was published. I was very aware that, in my research for the earlier book, I had stumbled upon the tip of an iceberg: the use (or alleged use) of magic as a form of political resistance, rebellion and treason. However, I knew that I had neither the space nor the time to include a detailed consideration of this issue, so I set it aside and began to write it up into a separate monograph. 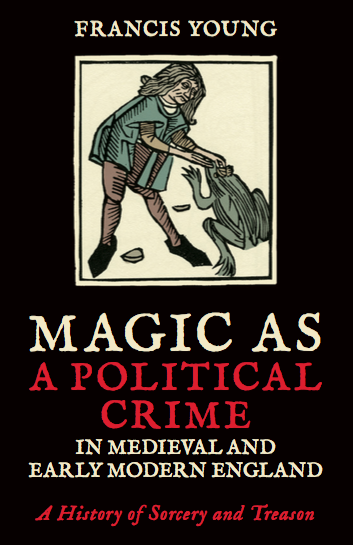 Although no-one really wants to know how the sausage is made when it comes to the writing of history, I will confess that the manuscript of Magic as a Political Crime had a chequered career. The book’s title changed several times, as well as its character; to begin with, I wanted the book to appeal to the general reader, but this did not go down well with the first publisher to whom I pitched it. So I removed the literary flourishes of the first draft and returned to the tried and tested format of an academic monograph, resigned to the probability that no-one would read the book beyond the small academic community of historians of magic and witchcraft. Eventually, the book found a home with I. 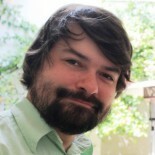 B. Tauris. Then, just before I was about to send the final proofs to I. 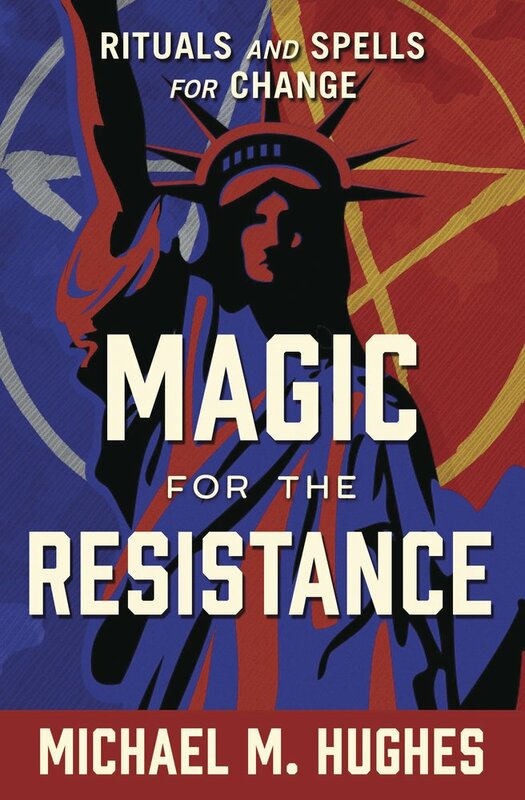 B. Tauris in February 2017, the phenomenon of America’s ‘Magic Resistance’ began to be reported in the UK media. There was just time for me to include a brief reference in the book to magical practitioners in the USA using magical methods to ‘bind’ President Donald Trump, and to note the similarity of these methods to medieval and early modern accounts. 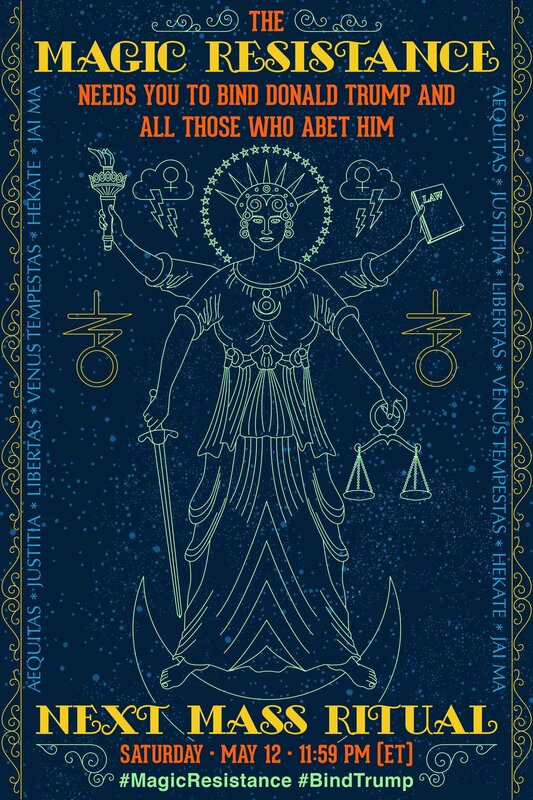 I am very glad that I did so, since the popularity of the Magic Resistance and the broader cultural awareness of the phenomenon has made a book about a very esoteric subject suddenly relevant. The reservations of that first publisher about the very limited public interest in the subject of political magic suddenly seemed unjustified – to the extent that I rather wish I had pitched the book for a more general market a few years later than I did! Because my primary research interest is political magic in Britain rather than the USA, I am not especially troubled that my integrity as a historian is undermined by the influence of my research on its subject. There is no evidence I have found, as yet, that the Magic Resistance or a variant of it has made its way to the UK (although if anyone is performing magical rites to prevent Brexit, please do get in touch). Ironically, the Founding Fathers of the USA ensured that no-one could be prosecuted for performing magic against the state by defining treason in the Constitution much more strictly than England’s Statute of Treason. In US Federal Law, a person can only be found guilty of treason if two witnesses testify that he or she has levied war against the USA or given aid to its enemies. In English law, the 1351 Statute of Treason (currently the oldest piece of still active legislation) states that anyone who ‘compasses or imagines’ the death of the monarch is guilty of treason. Traces of this idea survive in the US, especially in the Secret Service’s hypersensitivity to any threats to the life of the President. I wonder to what extent the Secret Service takes magical threats seriously and keeps an eye on the Magic Resistance? Serendipity indeed! Quite a fine essay and a timely nod to Mr. Hughes and his cause. Respect and best wishes for both of you. I believe at least one member of FOI or TABI has done anti-Brexit. You should ask. This entry was posted on May 12, 2018 by jacobite.